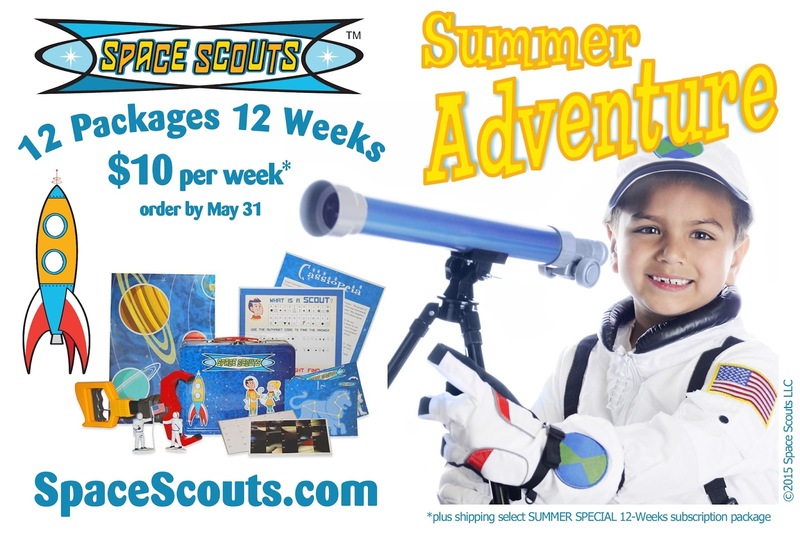 Are you looking for the prefect activity to keep your little space cadet busy during the summer? 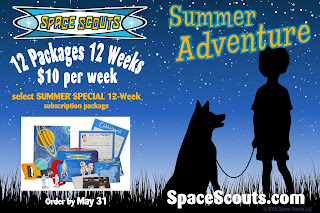 Space Scouts has the perfect solution to keep your little one active and learning during the summer months. 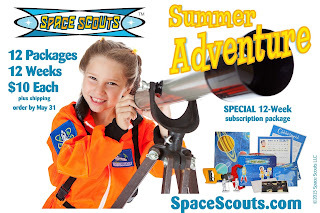 My 8 year old, Wade is always excited when he gets stuff in the mail, but when i told him a space adventure was coming, he was over the moon! 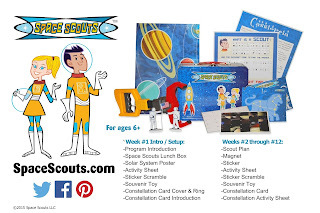 The kit comes jam packed with space themed adventure actives, astronauts, a lunch box(he keeps asking me when school starts back) and the big hit for us...THE CLAW! Yes, everything now has to be picked up with his space claw! This monthly box provides hours and hours of entertainment and learning. This company also provides another box geared towards younger explorers called Animal Trackers. We were lucky to have worked with them on both of these subscription box and were delighted with box. They would make a great birthday, holiday or anytime gift. through the solar system. 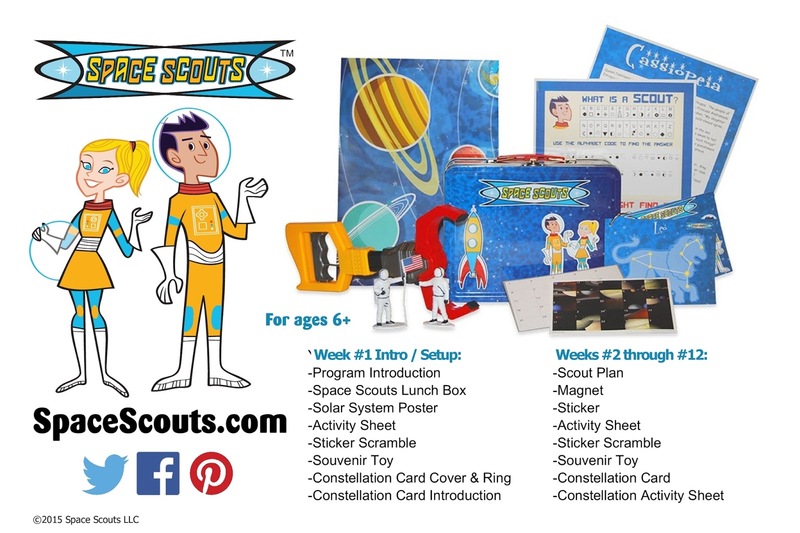 The adventure begins with a Space Scouts lunchbox magnetic backdrop, a poster of the solar system, and a constellation collection startup set. 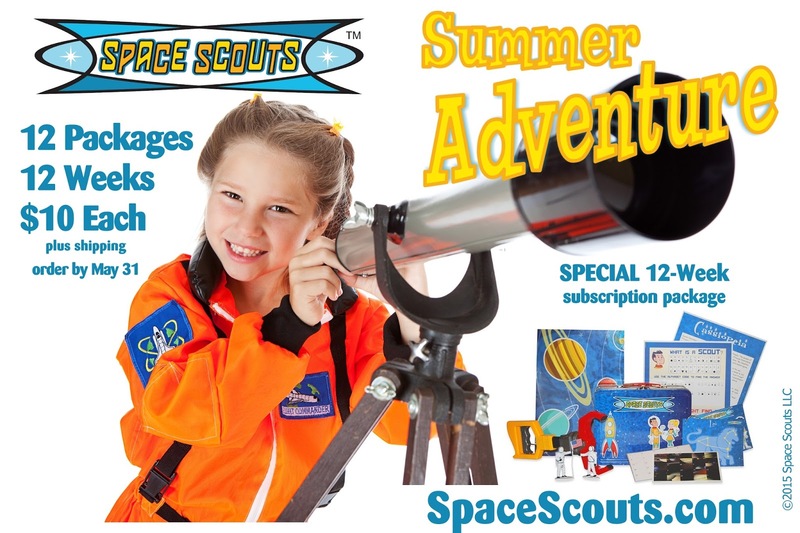 Each monthly adventure includes an exploration plan, a magnet to add to the lunchbox, a sticker to add to the solar system poster, an activity sheet loaded with puzzles and games, a sticker scramble, a souvenir toy to use in learning activities, a constellation card to add to the ringed collection, and a constellation activity sheet that includes the mythological story and other learning activities.